Nostalrius, the vanilla WoW private server that kept hundreds of thousands entertained, is returning today, December 17th, 2017 at 11 am central time. Both PVE and PVP servers with all the old characters will be making a comeback. The most popular and most blizz-like private server of all time, boasting record highs of over 18,000 players playing simultaneously on one realm, was shut down in April of this year. You may remember that I made a post about it. The team behind the server was invited to Blizzard after over 200,000 vanilla WoW fans signed a petition for official legacy servers. This meeting took place in the summer, and it consisted of the Nostalrius team showing Blizzard how everything was done and how easy it would be for official vanilla servers to become a reality. They were offering their own code – and even supplied solutions for Battle.net integration. Time passed, not much was done, and eventually Blizzcon came along. Still, not a word at Blizzcon. So the Nostalrius team took action, saying that if Blizzard did not “honor their core values”, then the Nostalrius team itself would be the one to do so. Fast forward after not one, not two, but three stress test, with over 10,000 players simultaneously bringing the server hardware to its limits, and we have made it to the official launch day. What are the official details of the relaunch? Well, first of all, these servers have been put in the hands of the Elysium team, which itself has about half of the original Nostalrius team members. Elysium, for those not up to speed with the current private server scene, was a server that came out in the summer and was dedicated to creating a blizz-like experience, similar to Nostalrius. This server will contain all characters from the old PVP realm as well as characters from the Elysium realm. It is currently on patch 1.8, and the War Effort event will start in a few months. This server will contain all characters from the old PVE realm. It will be the only PVE realm. It is currently on patch 1.5, and Blackwing Lair will be released in January. This server will be a fresh start for those new to the game or those looking to start on an even playing field. The official release date will be announced on December 24th 25th, though the team has stated that it will be released some time in January so as not to hurt the old realms’ populations. The realm’s official name is Elysium. You can learn more about the realm progression on Elysium’s Timeline. Will the server be shut down again? Contrary to popular belief, Blizzard did not force Nostalrius to shut down. Nostalrius decided to shut itself down. 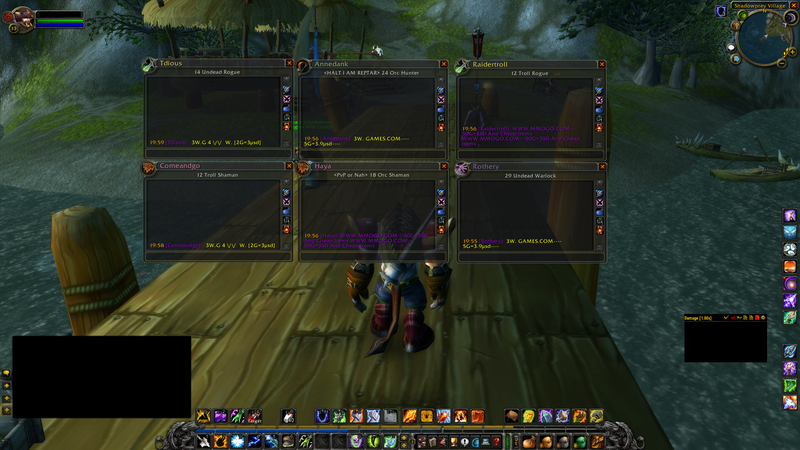 Most, if not all, popular private servers receive C&D letters from Blizzard. Almost all of them are ignored, because these servers are hosted in areas where it is difficult to Blizzard to have legal reach. In Nostalrius’ case, they were hosted in France, which is in good terms with the United States. That, and the goal of convincing Blizzard to start their official legacy servers persuaded Nostalrius to shut down. Why would the Nostalrius team put so much more effort into this project if they were to just shut it down again? In my opinion, the only way Nostalrius would be shut down is if Blizzard announced that official legacy servers would be released. Honestly, anything is possible. But I think it’s worth it to take a chance in life. Take the risk, or you may miss out! Otherwise, you may never have this amazing vanilla WoW experience. Elysium’s Account Creation Page has all that you need to get started. You could even transfer your old characters to your new Elysium account. Just make sure to have your old username and either email or password handy. If you’re new to Vanilla WoW and don’t know where to start, that same sign-up page has free downloads for Windows and Mac. Make sure to edit the realmlist.wtf file as it says on the page, or else you won’t be able to connect! So what do you think about Nostalrius coming back? Is it all just a big bait? Did you have characters on the old realms, waiting to be played again? Let me know in the comment section below! Author TruskiPosted on December 17th 2016 December 24th 2016 Categories Games, World of WarcraftTags elysium, nostalrius returns, vanilla wowLeave a comment on Nostalrius Returns, Today!